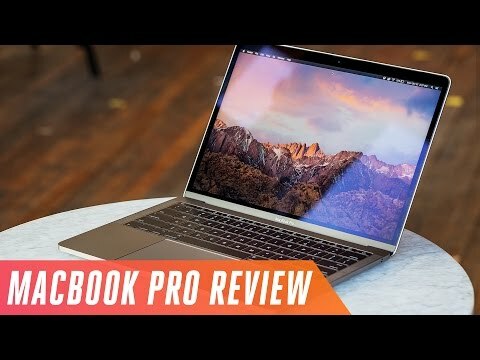 While it&apos;s missing the buzzworthy Touch Bar, the entry-level MacBook Pro is effectively the redesigned and updated &apos;Retina MacBook Air&apos; that we&apos;ve been waiting for. Apple MacBook Pro, even though is expensive, but worths every single penny spend on it. The laptop is one of the lightest, powerful and solid device you can find. The battery backup of this thing is just impressive and can easily last you for an entire day with ease. The Mac OS is so optimized that you will not feel any lag or slow down even in the heavy performance hungry task. The slimmest and compact laptop you can get under this price. I bought this for Apple&apos;s amazing MacOS which is very clean, minimal and looks professional. I am into music composing and this laptop is perfect for those. Thankfully, there is an SSD which is very fast. Also, this laptop is very good for graphics designing. 3 Pricebaba users have written their experience with Apple MacBook Pro 13-inch (2016) (256GB). If you own Apple MacBook Pro 13-inch (2016) (256GB), please do leave your feedback too.